Thomas and his engine friends light up the tracks for a festive celebration in the all-new holiday release Thomas & Friends®: Santa’s Little Engine which arrived on DVD, Digital Download and Video on Demand October 8, 2013. 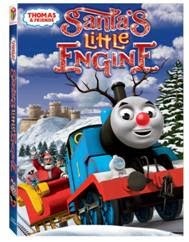 TheThomas & Friends®: Santa’s Little Engine DVD features five frosty and fun-filled episodes and will be available for the suggested retail price of $14.98. Join Thomas, Percy, Gordon and all the other steam engines as they learn the true meaning of the holiday season. I've said it time and time again--my kids love Thomas and Friends! And in our family, Christmas is where it's at! We LOVE the Christmas season! I've already been listening to Christmas music and might have even watched Elf last week. I couldn't wait to share this new holiday DVD with my kids! Throughout this DVD, although the fun of Christmas is the focus, Thomas and his friends are learning lessons and solving problems along the way. The engine learn that they need their snow equipment when chugging through the snow (even if they don't want it), and Percy teaches everyone what Christmas is all about: giving. Rudolph may have saved Santa in the past, but this year, it's all about Thomas! When Sir Topham Hatt dresses us as Santa, he needs Thomas to pull his sleigh through Sodor. Of course, this makes Thomas feel like a very useful engine. Overall, this DVD, like the other Thomas & Friends DVDs, has been a big hit in our house. Mr. Perkins makes 2 appearances in this DVD and my Maggie just loves him. I'm so happy he was included! The kids watched this DVD from start to finish, totally engrossed. I'm excited to have it in our collection as we get in the holiday spirit! Connect: Visit the Thomas & Friends website, then "like" them on Facebook and follow on Twitter. Buy It: This movie is available online at Amazon.com or look for it in stores. It is priced at $14.98. Win It: One lucky reader will win this title on DVD! As an extra bonus, check the bottom of this post for a coloring sheet for everyone! I recommend that you click on it to enlarge it, then right click and click "print". Open to the US only. 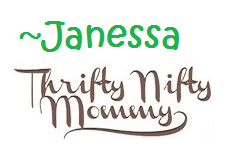 Ends 11/09/13 at 11:59 PM EST. We love Thomas & Friends! Thank you for the chance to win. We love Thomas..A LOT!! Thank you for the opportunity!! Thomas is my kids favorite character.